Speyside single malt Macallan has launched its Exceptional Single Cask range – a series of seven whiskies matured for between 12 and 22 years. The cask strength whiskies have been drawn from seven ex-Sherry casks, filled between 1995 and 2004 and bottled without artificial colouring. Charlie Whitfield, manager of brand education and prestige whiskies at Macallan, said the range had been inspired by the ‘whisky maker’s bench’ found in the single malt’s sample room. ‘This stunning new range, bottled at cask strength, presents those particular cask samples which have taken our whisky makers by surprise,’ he added. 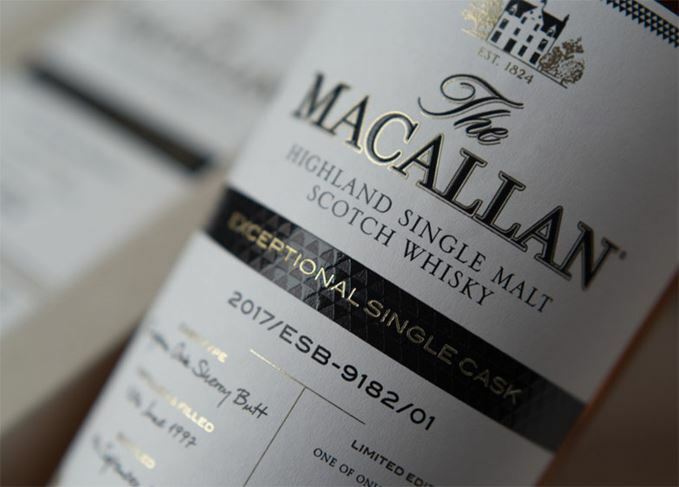 The Macallan Exceptional Single Cask range is available now in the US, with an estimated retail price of US$250-1,300 per bottle. The range will later be released in ‘select international markets’.